It is imperative that only a knowledgeable crew with pervious concrete certifications be permitted to do this type of work. The material can be difficult to work with, and if not placed properly, it may fail. 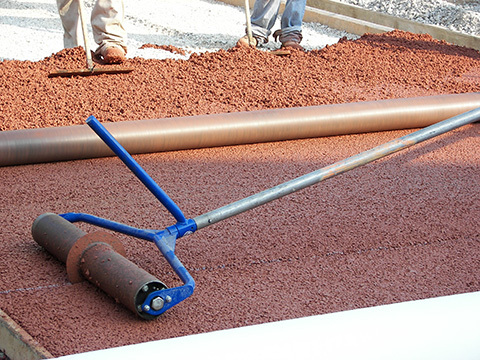 We have five certified pervious concrete technicians who thoroughly understand the material and how to install it properly. Pervious concrete will attain strengths very close to regular concrete and will be just as durable.